Miran, S50O will be active from Lampedusa Island (IOTA AF-019) until end of November 2014 as IG9/S50O. QSL via home call, OQRS, LOTW. Logs will be uploaded to ClubLog. This island, largest of the three islands, belongs to Italy and is part of the Sicilian Province of Agrigento Tunisia. 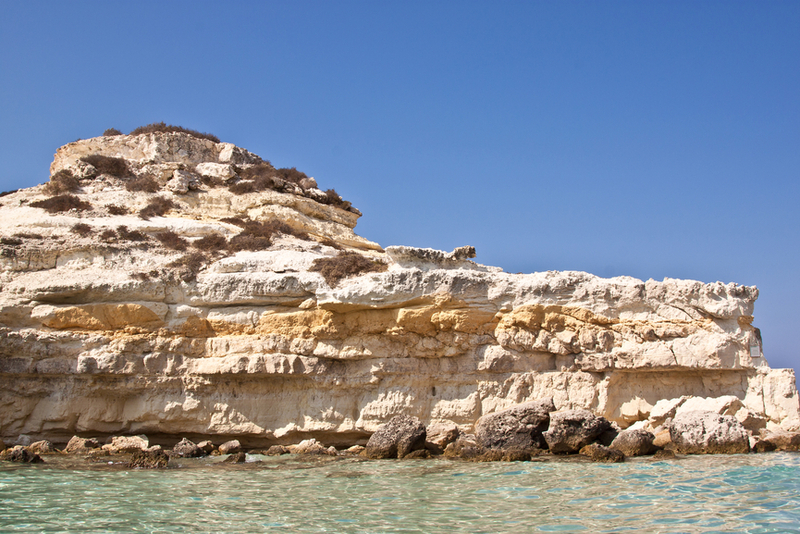 Lampedusa Island has become a favorite place for scuba-divers, sun-worshippers and nature lovers. Lampedusa Island is the largest island in the Italian Pelagie Islands, located in the Mediterranean Sea. There are approximately 4500 people living there and is 7.8 square miles of land mass. The island is now a primary entry point for migrants, mainly from Africa. In 2013, the travel site TripAdvisor, voted Rabbit Beach, located in the southern area of the island, as the world’s best beach. It is also one of the last islands remaining in Italy for the egg-laying Loggerhead Sea Turtle. The name of the island is derived from the Greek, which can mean “rock” for the island’s rocky terrain, and also means “oyster” because of the abundance of oysters that can be found here. There has been found remains of Phoenician tombs, prehistoric huts and Roman buildings on the island. In July of 2013, Pope Francis visited to draw attention to the migrants who lost their lives attempting to cross over from Africa. The main livelihood of the islanders is in the fishing industry. With the abundance of fish, oysters, coral, and sea sponges. About 70% of the population work in the fishing industry. Their catches are flown out daily to Italy or on the ferry. Anchovies and sardines are also packed and shipped with their daily shipments.The coral and sea sponges will be used in various ways and sold. The fishing industry here is plentiful and keeps the natives well dressed and in Land Rovers! The beautiful coves of Cala Pisana and Cala Uccello also host the clear, calm and inviting blue waters of the Medertarian Sea, while the waves gently roll up to the whiter than white sandy beach. The best way to see the island is to take a 3-4 hour excursion by boat, where you can see the beauty of the water with all its fauna and flora, to the coves and tiny-harbors. Be sure to visit Rabbit Island with its beautiful beaches, being able to see the loggerhead turtles and able to swim in the clear blue waters. These sites are available to see because of the fact that the island is protected. In 1995, The Nature Reserve, “Lampedusa Island”, was set up to protect. The natural wonders of the landscape, and the faunal and botanical gardens is a natural wonder. The major charm of this island is the fact that there really is not much in the way of sightseeing so one can feel guilt free while lying in the sun-soaked beaches, snorkeling in the clear blue waters of the Mediterranean Sea or taking a lazy boat tour around the island. The locals know all the awesome places to stop. 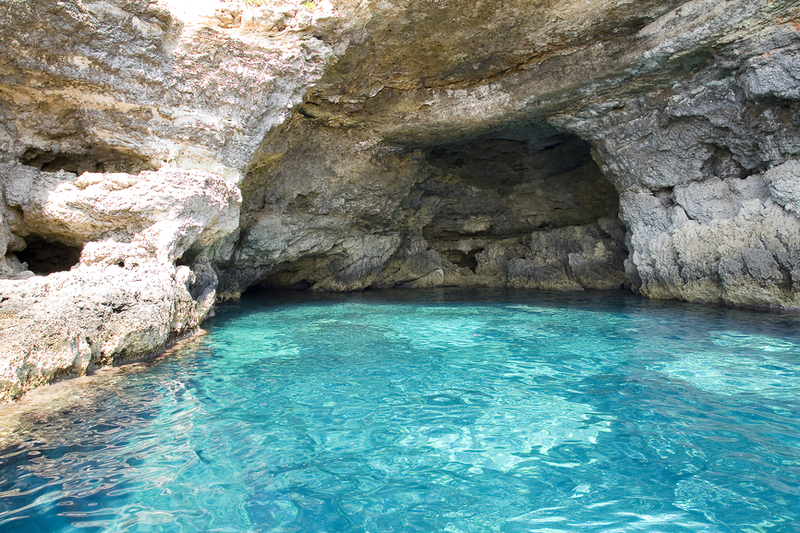 They will show you the hidden grottos and the best places for snorkeling and swimming. If you feel the need to walk, Albero del Sole is the highest part of the island and the views of the sea are astounding. Another fun way to get around the island and explore is to rent a jeep, scooters or bikes. There are plenty available on the island. There is a very unique church on the outskirts of town. It is carved into the earth and is much larger than it looks like. Well worth seeing. The ruler of Lampedusa is a Yiddish play stand on a true story about RAF Flight-Sergeant Sydney Cohen, a tailor from East London. As the story goes, in 1943 during World War 2, Cohen was forced to land, when he ran out of petroleum, on the island of Lampedusa, causing the Italian garrison to surrender, thus giving him the pet name of “King of Lampedusa”. It was the greatest running of any Yiddish play in London. Nine hours by ferry or a 45 minute flight from Palermo, one arrives to Lampedusa Island. A minute of stepping off the plane one realizes that it seems like they are in North Africa. The truth is, this island is closer to Africa than Sicily. The scrubby, dry and arid landscape is similar to that of Tunisia, which is only 80 miles west. The Italian definitely comes out of hiding in the cuisine! You will think you are in Italy with the wonderful smells coming from the restaurants and even the pizzas are superb! The fish cous cous is a grand mixture of Sicilian and African flavors, bringing together a taste of both countries. The Lampadusa’s locals add their own touch and add lobster, seafood and shrimp. This dish is a must to try. As the sun sets on this tiny island, the North Africa feeling slowly becomes Italian again. The neon lights of the harbor begin to twinkle. The night air is brisk, so a warm sweater is advisable. The streets come alive with strollers headed towards the Café Pilar for a warming drink. You will find the young adults also out in the evening, the girls walking in groups and the boys, well they will be boys! At the Ristorante Belvedere, a favorite restaurant of the locals, you can smell the aroma of a pasta dish, fish, salad and of course the wine. The people are charming and many come from Rome for vacations or a weekend. There is a wide range of hotels on the island, from luxury to child friendly. The hotels cater to tourists, personnel are friendly and always willing to answer questions or help. In the end it can be said that Lampedusa Island is one of the most beautiful islands of Italy. Life on this charming island is slower and calm. People are lovely and supportive and for visitors the best months are May, September and June. It’s a heaven on earth.